The scourge of single use plastics is big news. MacLean Photographic will stop giving our guests single use plastic bottles on the one day photographic workshops from 1st May 2018. 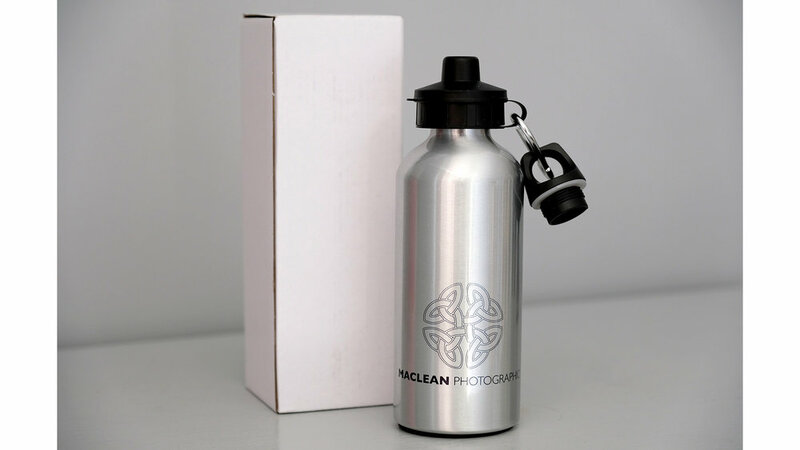 Instead everyone booking a one day** MacLean Photographic workshop will receive a FREE stainless steel water bottle which will be theirs to keep at the end of the day with our compliments. ECO FRIENDLY: This reusable water bottle replaces single use plastic water bottles, much safer for you and the environment. PLEASE NOTE: Not dishwasher, microwave or freezer safe. Not suitable for alcohol, hot liquids, milk, carbonated or fermented drinks. ** Please note: Free Water Bottles are only available to clients participating in the one day MacLean Photographic workshops - Beaches and Castles, Long Exposure Landscapes, Woodland Exploration and Sports Photography. This offer DOES NOT include the 2-hour Back to Basics workshops. Select the date you wish to book from the selection below and then click ‘Add to Cart’ to pay the £50 deposit. A deposit of £50 is required for each person to book a place. Balance of £100 per person is required three days before the commencement of the workshop. We will contact you to request payment. Payment is via PayPal. You can pay with a credit of debit card or directly with PayPal if you have an account. Select the two hour slot you wish to to book from the selection and then click ‘Add to Cart’ to pay the £10 deposit. A deposit of £10 is required for each person to book a place. Balance of £40 per person is required three days before the commencement of the workshop. We will contact you to request payment.